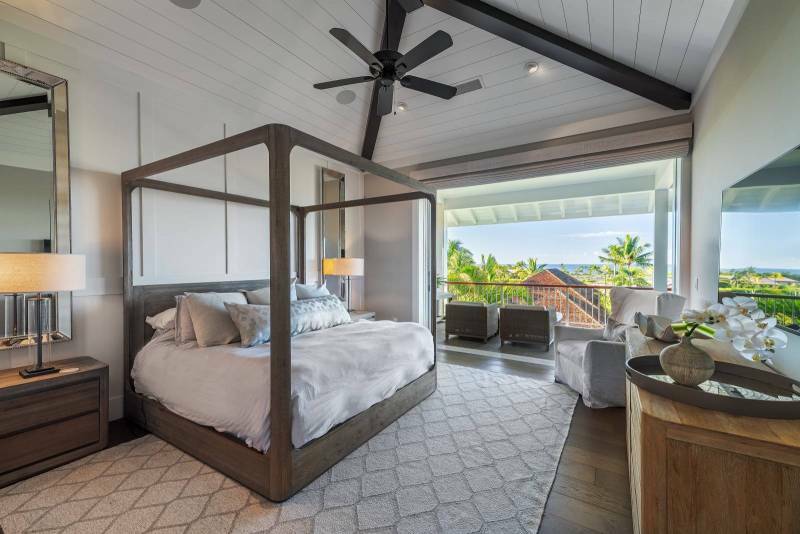 Combining comfort and impeccable quality in all details, Hale Maia was built by Hawaii Island contractor Maryl. 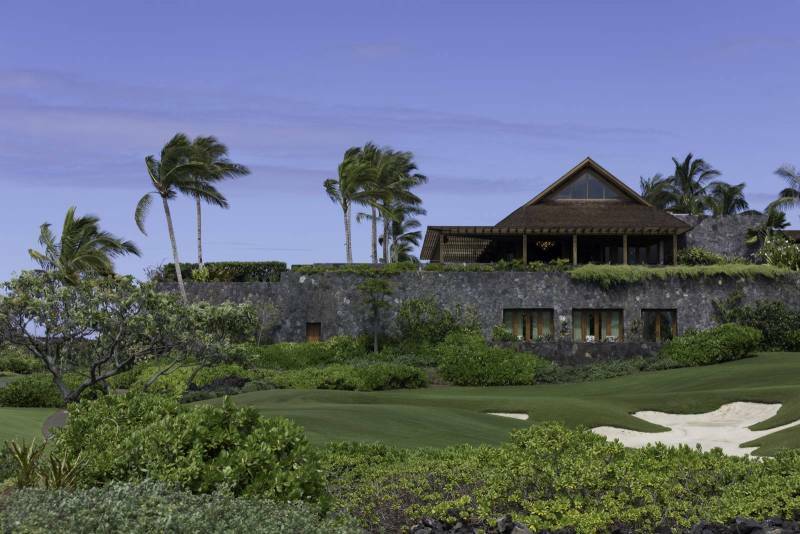 Positioned to capture cooling trade winds and to frame expansive ocean and golf course views, the townhome is conveniently located within the community just a short golf cart ride to all club amenities and the spectacular Kona coastline and beachfront. 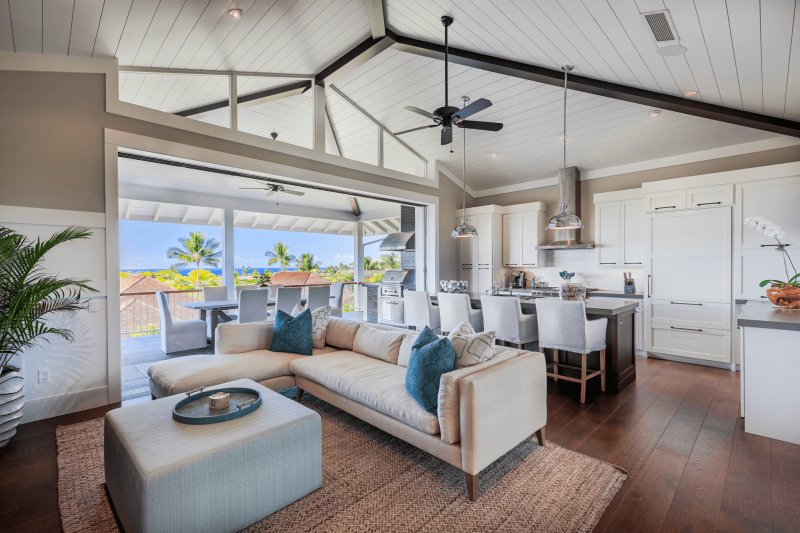 With nearly 3,000 square feet of interior living space and spacious covered lanais on both levels, the home offers the best of Hawaii’s renowned indoor/outdoor living. Four bedrooms and four baths provide is plenty of room for the entire family; overnight guests may be accommodated in the guest house ensuring blissful privacy for all. Among the townhome’s beautiful, refined details: hardware floors, sliding glass pocket doors, paved lanais and outdoor grill on the ground level. 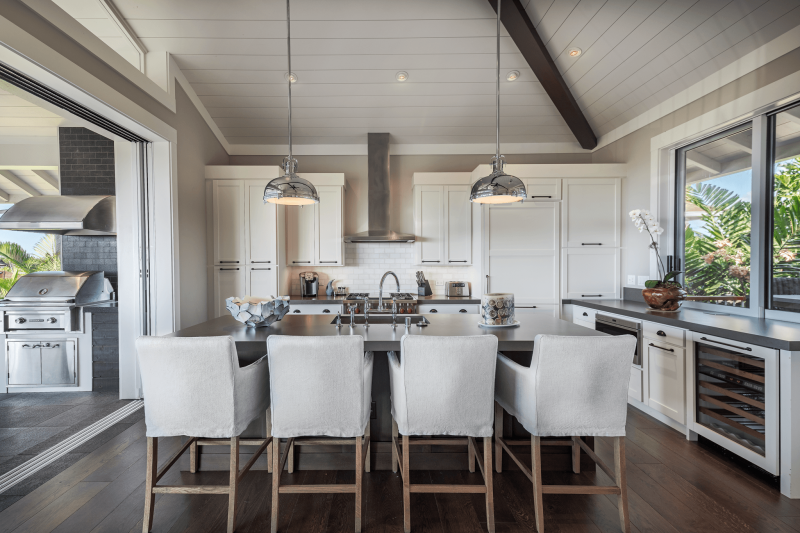 The spacious kitchen is outfitted state-of-the-art, high-end appliances, and granite counters. Tropical landscaping provides a tranquil setting for outdoor entertaining and fun. The impressive clubhouse, an architectural masterpiece designed by acclaimed San Francisco-based Shay Zak, is home to the luxurious spa, signature restaurant, movie theater, bowling alley and a library with museum quality Hawaiian literature. It is also the location of the golf retail area and starter station for your round on the Rees Jones championship course. The beach club is ground zero for all ocean activities provided by Kohanaiki’s team of professional water-men and women in the crystalline off-shore waters and also offers casual, open air dining, swimming pool and lounge decking. 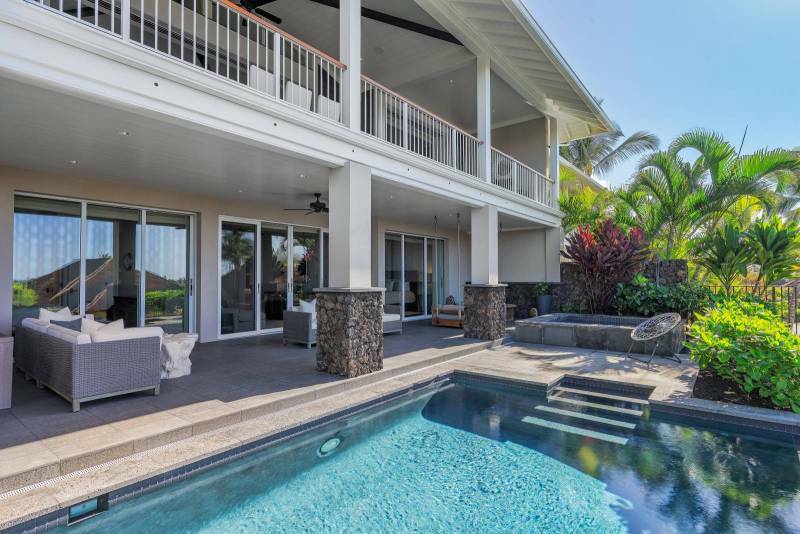 For information on this property or additional Hawaii Island real estate opportunities, please contact Carrie Nicholson, R (B), BIC, Director of HL1-Big Island, (808) 896-9749 or carrie@HL1.com.